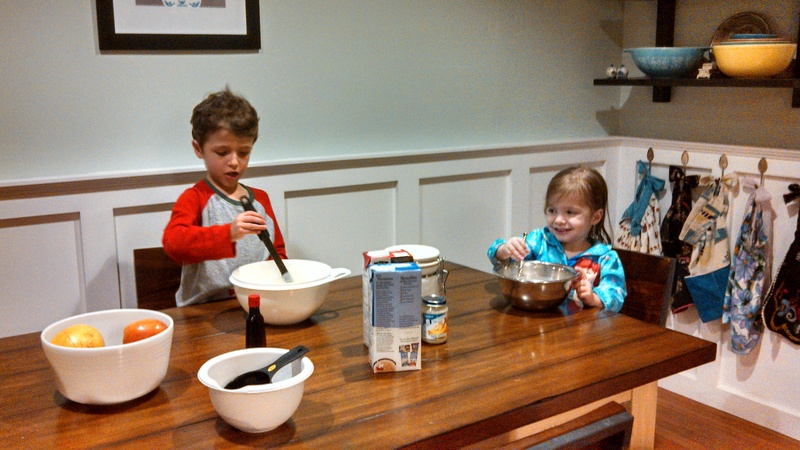 Adapting our lives and recipes to live safely with severe food allergies. 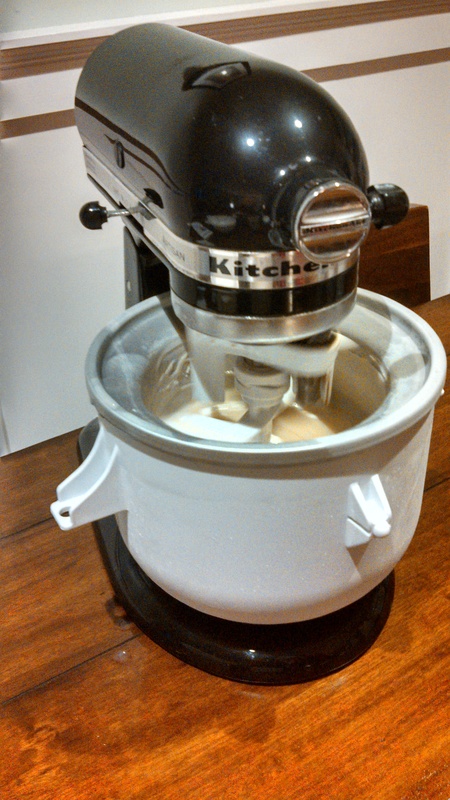 For Christmas this year my parents got me the ice cream attachment for my Kitchen Aid stand mixer. I asked for this specifically so that I could make dairy free ice cream treats for JT. Although he is able to have some sorbet and popsicles, there are not a whole lot of options for him in the frozen treat category. 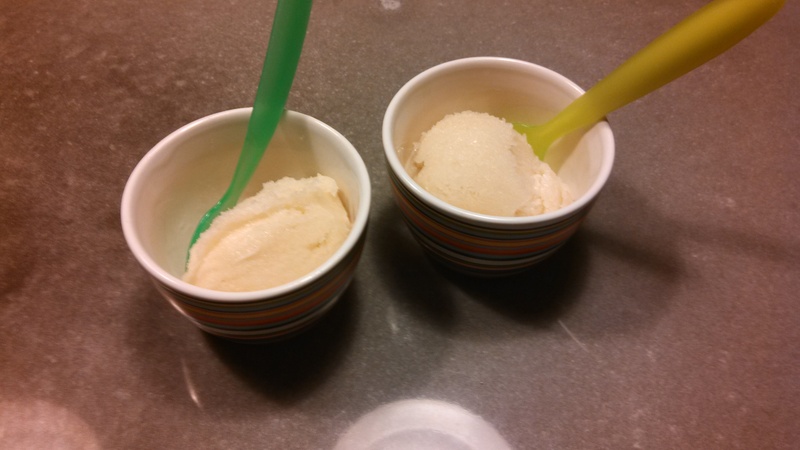 Now we can make our own “ice cream” at home… Yay! I can’t wait to experiment with different flavors. Maybe this year I will even be able to serve cake AND ice cream at his birthday party! We tried our first batch last night and it was a success. The kids loved it. 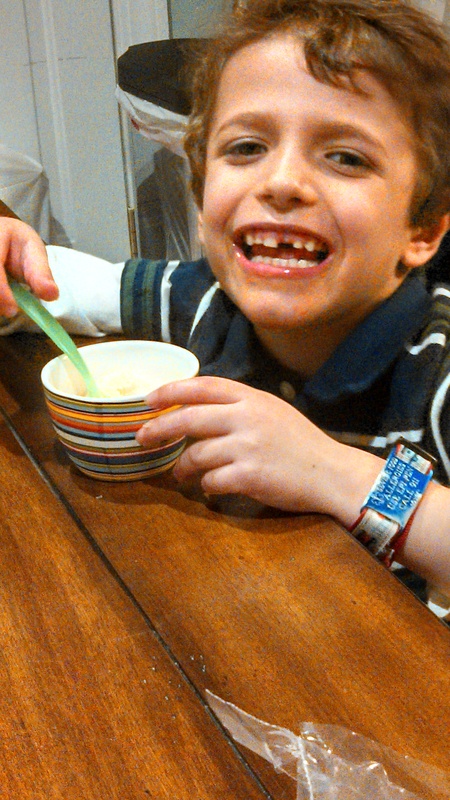 JT was thrilled to be able to have “real” ice cream! It’s always amazing when you can give a kid like him, who has so many allergies, the experience of eating things that other kids talk about and get to eat all of the time. Hooray! Oh and the kids had a blast helping me too, although making ice cream requires alot of patience! In a large microwave safe bowl heat marshmallows in microwave for 30 seconds at a time until melted (leave room in bowl as they expand quite a bit). Add in rice milk and stir well. In a small saucepan heat coconut milk almost to boiling. In a seperate small bowl mix sugar and banana together. Mix Banana and sugar mixture into heated coconut milk and then whisk into the marshmallow mixture. Add the vanilla and stir. Refrigerate overnight ( I tried to cut corners and skipped this step, it was a bad idea, it’s necessary). Process in your ice cream maker according to directions. Once processed it will be like soft serve, freeze overnight for a hard ice cream consistency. A crunchy urbanite's personal journey to safer, happier eating. Including a variety of family approved allergy-free recipes, products, and book reviews. 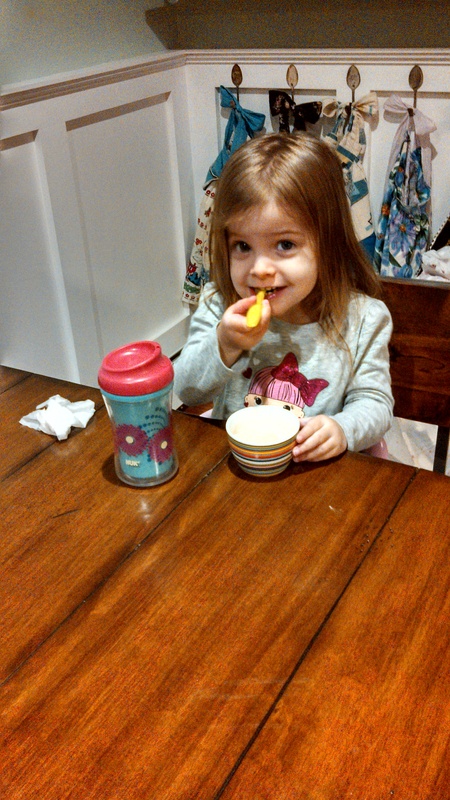 Navigating the terrifying world of pediatric food allergies.